Every year, hundreds of turtles make their way back to Mon Repos Beach – the site of their own hatching, to produce the next crop of teeny tiny turtles. Home to the largest concentration of nesting marine turtles on the eastern cost, Mon Repos also plays host to the South Pacific Ocean's most significant nesting population of the endangered Loggerhead turtle. Ongoing successful breeding at Mon Repos is vital to the survival of the species, which is why Rangers are especially vigilant to ensure both nesting and hatching turtles are kept safe! 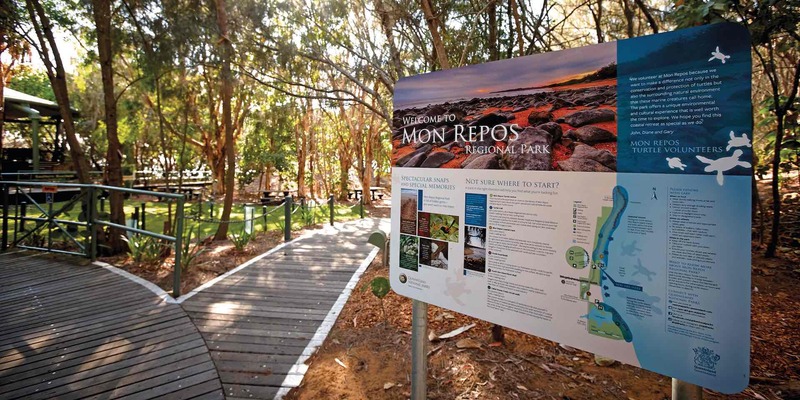 If you're visiting Mon Repos Beach, there are a few simple tips you should keep in mind – for your safety, and that of the turtles. Observe beach hours – Between October and April, beach access is restricted to the hours of 6am and 6pm, as the turtles make their way onto the sand at night. However, you are definitely welcome to book a guided turtle encounter if you would like to visit the beach at night. Stay off the dunes – turtles nest here, and you may inadvertently damage a nest's precious contents. Turtle eggs are very soft, and easily destroyed. Don't litter! This one is pretty obvious, but please – be sure to take all litter with you when you go, to prevent it harming any animals – in the water, or on the beach. Spotted a nesting turtle coming ashore? Hold still! It's important that we do all we can to ensure turtles continue on their way to their nesting sites. If you spot a turtle coming out of the water, allow them time to get up the safety of the dunes. Spotted a hatchling? Please don't touch! You're more than welcome to enjoy the spectacle of watching these tiny little guys making their way down the beach. But please – don't handle them, shine lights on them or disturb them in any way. As turtles make their way down the sand, they're mapping the location of their hatching site – a 'natal homing' natural phenomenon, which they will use to return when they're ready to hatch a family of their own. However any disruption can disturb them – and with survival rates at 1 in 1000, these guys need all the help they can get! Help don't hinder - Please don't dig in the dunes, or leave any obstacles on the beach that could impede access for either the nesting turtles, or the hatchlings. We're so fortunate to be able to experience the beauty and joy of watching turtles hatch at Mon Repos. Following these simple steps will help us to ensure that future generations can do the same!